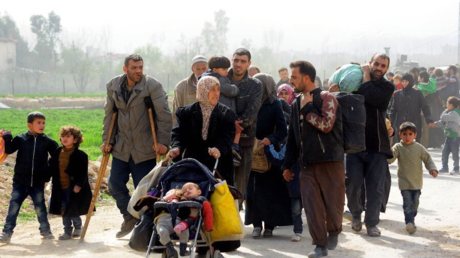 Civilians fleeing the fighting in Eastern Ghouta in their thousands through humanitarian corridors say the militants controlling the area used them as human shields and prevented them from leaving their homes. "They fired at us, they did not want us to flee at all, they fired at the car wheels so that we could not flee… There was no flour, no bread, no water at all. They let no one out," one man told RT’s Ruptly video agency near Hush Nasri. "They [militants] were living with us, next to our houses and inside them. They would open a road amongst the houses to be able to move. They would not leave, and we would not dare to say ‘get out.’ Then the shelling was over and it is us who became part of the human shields. 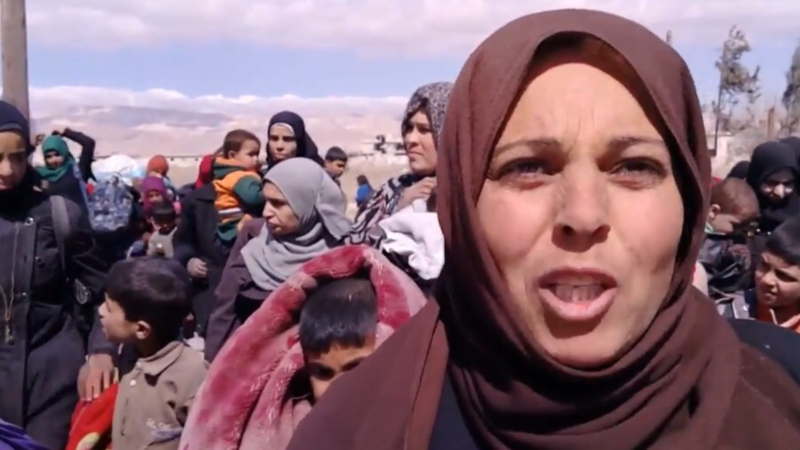 We were not allowed to move," a woman told Ruptly. 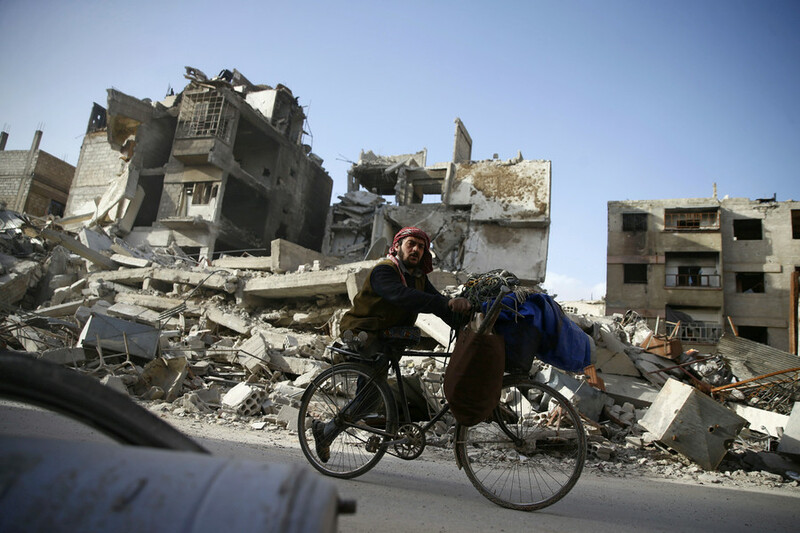 The armed groups holding out in Eastern Ghouta, a militant-held suburb near the Syrian capital of Damascus, continued to fire at civilians even as they were fleeing their homes, leaving several people injured. 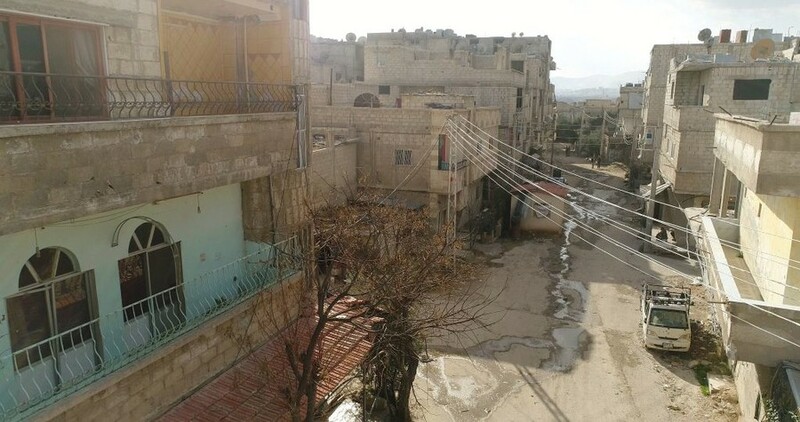 "They were besieging us inside the basements, and we were strictly prevented from getting out at all, they made us starve… They were even firing at us as we were moving out, we were targeted by snipers, we were about to die, someone was shot," one woman recalled. "We had no food or water. We wanted to flee but they prevented us. We fled against their will, they [militants] fired at us, half of the people were shot. Look at our children, bare feet, hungry, and without clothes, but [the militants] showed no mercy, they kept the commodities in stores for their benefit while our children starved to death, and they fired at us even as we wanted to get out," another woman added. Desperate, scared and starved, people hoped to be rescued. "We wanted to get out for a long time, and we wanted the Syrian Arab Army to take us out, but we could not. We were detained and put inside houses, and they fired at us, a lot of people were injured." The UN and other humanitarian groups are working in close cooperation with the Syrian government and Russian Center for Reconciliation to provide assistance to the civilians leaving and still trapped in eastern Ghouta area, UN Humanitarian Coordinator for Syria Ali Al-Za’tari told Russian media in an exclusive interview. “We’re working with the Syrian Government and the Russian Federation, the Center in Khmeimim to ensure that humanitarian assistance is flowing to those people who are now in shelters. There are thousands of people, we are looking at 20,000 civilians, who were leaving East Ghouta in desperate conditions, and they are housed in different shelters around Damascus,” he continued. Over 30,000 people have left towns in Eastern Ghouta on Saturday morning alone, Maj. Gen. Vladimir Zolotukhin, the spokesman for the Russian Defense Ministry’s Reconciliation Center for Syria, said, adding that "on average over 3,000 people per hour” are passing through the humanitarian corridor. Daily humanitarian pauses for Eastern Ghouta began on February 28, as part of the Syrian Army’s and Russia’s efforts to help civilians leave the combat zone. 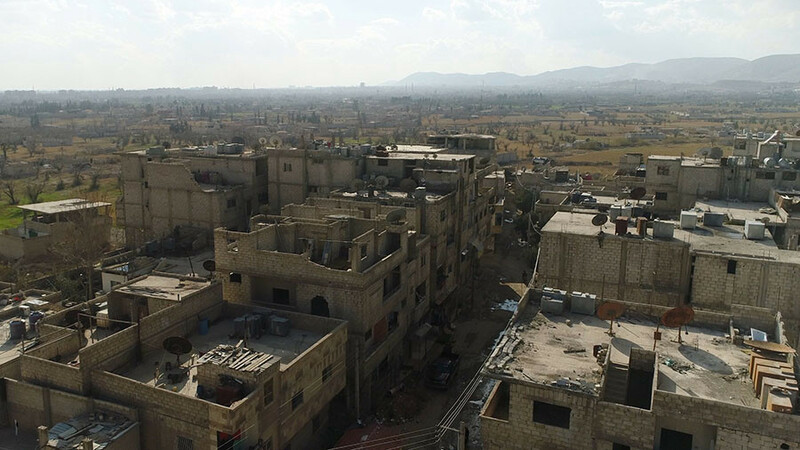 The Russian military has repeatedly noted that the militants use civilians as human shields, targeting those trying to flee the terrorist enclave. On Monday, militants killed at least nine civilians during protests against being held hostage in the city. “Terrorists severely suppress any protest actions from the population of Eastern Ghouta, who are forbidden to leave the area under threat of death,” Valery Gerasimov, head of Russia's General Staff, said. 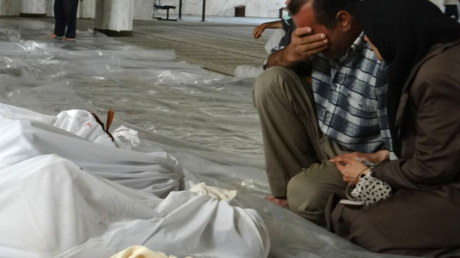 At least 15 civilians are known to have been killed and another 133 were injured in the past month. “Terrorists and so-called moderate opposition that joined them forcibly hold civilians, using them as human shields,” the general added. 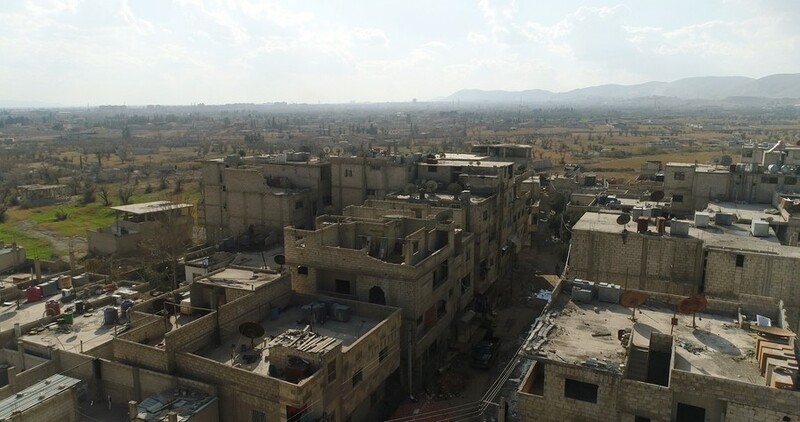 The total number of people evacuated from the besieged enclave has reached over 48,000, spokesman for the Russian Reconciliation Center Major General Yury Yevtushenko said on Saturday.